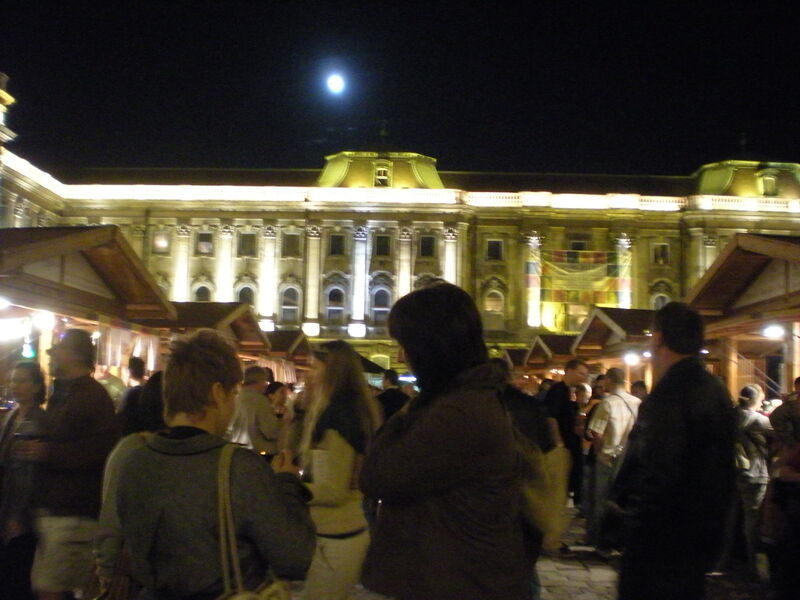 On Saturday I stayed close to home and attended the 17th Annual Budapest Wine Festival. 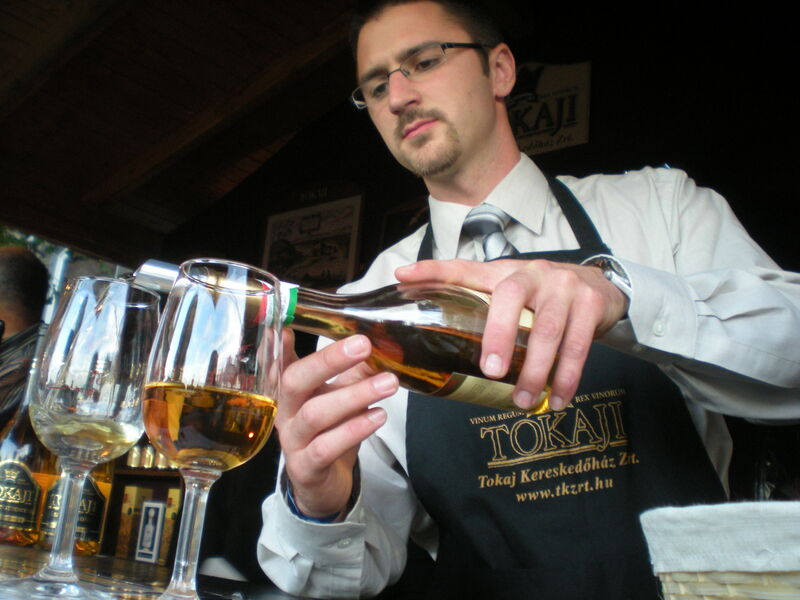 The event coincides with the country’s wine harvest and is attended by thousands each year. The event was absolutely lovely. Luckily, I didn’t have to go far to get there—just a few cobblestones away in the palace and gallery terraces. Since being here, I’ve gone to a lot of little festivals and fairs, but this festival really seemed to converge on life’s essential pleasures. After weeks of nearly intolerable heat and humidity, a round of storms finally broke through, and by late Saturday afternoon, the temperature was mild to chilly—perfectly fall. Locals and tourists alike were scattered throughout the castle district, dressed in corduroy and fleece, sweaters, wraps, scarves. 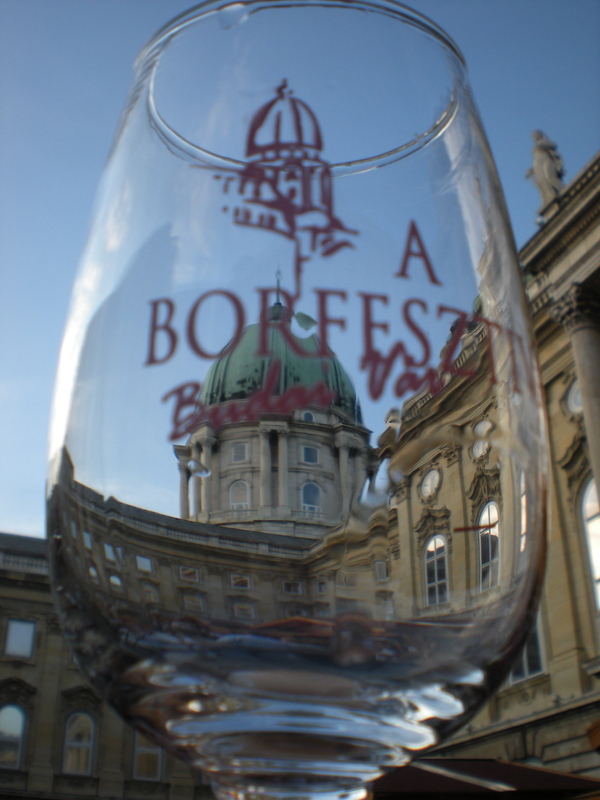 And from most people’s neck hung a black cotton sash with the words bor fesztivál budai vár printed on the fabric, and of course, a wine tasting glass inside. Though never tricked by two-buck-chuck swill, I wouldn’t really call myself a wine connoisseur. I know the motions, the swirls and the smells and the proper way to taste wine. I enjoy hunting for floral inside the glass, which of course is a necessary skill for the lovely Hungarian whites. But mostly, I enjoy wine with good friends and good conversations, and occasionally, a round of poem revisions. By seven, the sun was setting and the Danube was starting its light works with the near full moon. 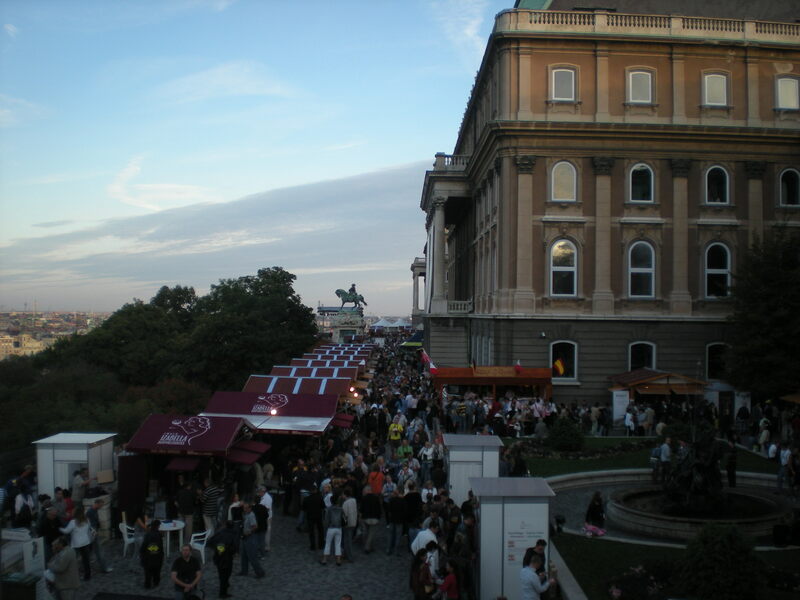 Some estimated the crowd at about 10,000 with a few hundred vendors (both from Hungary and the guest country, Italy). I would have to say that the best part of the night was sitting on the edge of the marble fountain drinking a dry wine from Tokaji and nibbling on a serving of blue cheese just as the fireworks began. And under the influence of (the wine), the Duna, the castle, the cobblestones, the tossing leaves, and the finally-fall-has-arrived-weather, I really thought: it does not get better than this. Another day here, another charm. I hope you realize just how luck you are to be there, drinking wine, seeing fireworks and people dancing in big dresses. Meanwhile the rest of us are stuck here, hoping that come November, we won’t have to pack our bags for Canada. You know I can’t handle the snow.